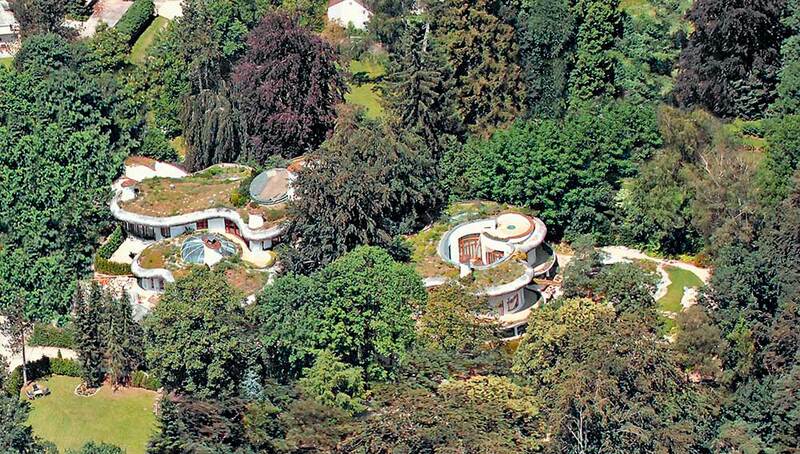 This is $23 million masterpiece house hiding among the green forests of Germany’s Grünwald. Landscaped roofs almost camouflage the nearly 9,000-square-foot home even from an aerial view. 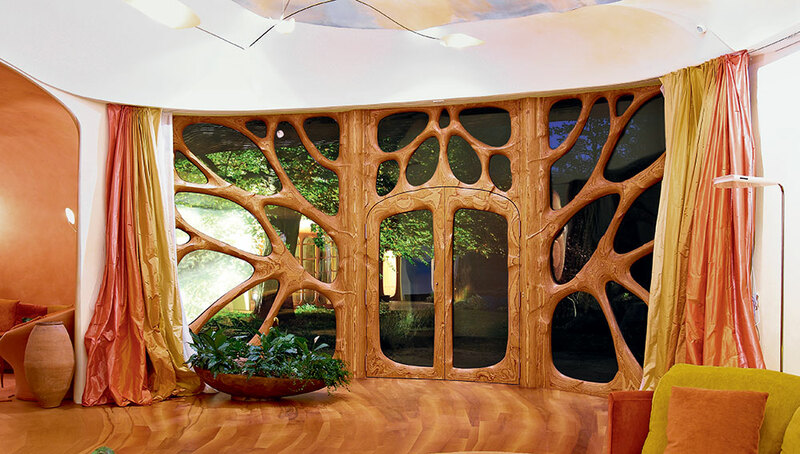 One must look closely to spot the curvilinear lines of its wide cedar eaves. Completed in 2014, the five-bedroom, five-bathroom compound includes a main home spread across four levels; a summerhouse; and a guesthouse with two apartments. Downtown Munich is just 8 miles up the road from Grünwald, one of Germany’s wealthiest towns. Showpiece features beyond the serpentine architecture include swirling intarsia wood floors that combine teak, cherry, and other fruitwoods; and seven unique fireplaces. The more time you spend in the home, the more leaf, branch, and petal shapes you begin to notice among the ceilings and walls. The sinuous spaces also accommodate a library, a gym, a music room, and a special car elevator that accesses an underground, six-car garage. A nearly Olympic-size indoor swimming pool sits among colorful mosaic decking and trunk-like green columns. In the steam room, ergonomic lounges facilitate relaxation, and experience showers reinvigorate. Outside, a second pool is disguised by park-like gardens to look like a natural swimming hole. If you’re ready to spend $23 million – check christiesrealestate.com.